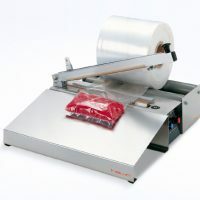 Our Impulse Heat Sealers are available in a variety of designs and specifications. 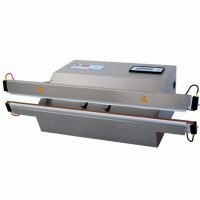 Take a look at our what heat sealer guide for more information on selecting the correct unit. We stock units from Audion and Hawo as well as our own brand devices. Choose from either a hand held heat sealer for portability. Ideal when sealing awkwardly sized objects. 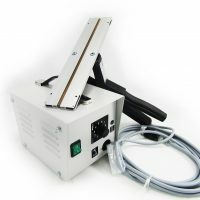 Or one of the table top heat sealer units for maximum stability. Most units are available with additional features like work tables and roll holders for efficiency and ease of use. As part of our commitment to offer you the not only the best quality heat sealers, but also the most cost-effective for you, through 2018 we have additional reductions on all our heat sealer ranges using our coupons (see promotional information for codes to use). These coupons are only available for a limited time, but DO work in conjunction with any other discounts available.